The following myths and realities were adapted in part from stophazing.org. 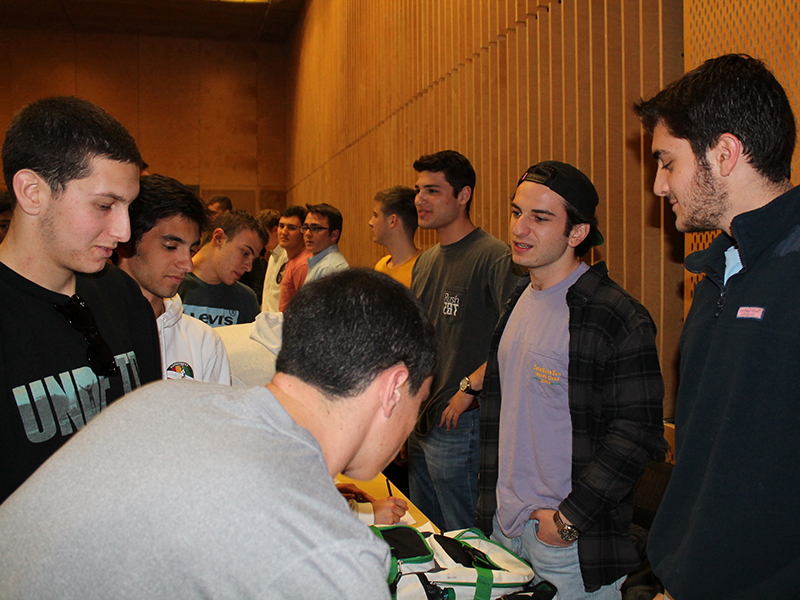 Reality: Hazing may create unity among new members, but often there are costs as well. The effect of hazing on a group can be like the effect of a natural disaster on a community: residents feel closer to each other afterward but many are suffering. Would anyone suggest that it is good for a community to be hit by a natural disaster? Reality: While holding new members accountable is important, there are effective ways to do so without hazing. Effective parents, teachers, and bosses all know ways to hold others accountable without humiliating, degrading or physically hurting them. Chapter officers can work with Fraternity and Sorority Programs staff and the volunteers and staff of their national organization to develop programs that hold new members accountable without hazing them. Myth: A little hazing should be okay, as long as there's no mean-spirited or injurious intent. Reality: Regardless of intent, some group bonding activities designed to be "all in good fun" still may raise some serious safety concerns." For example, serious accidents have occurred during scavenger hunts. And when members are drunk, they sometimes subject the new members to more than they originally intended. Reality: Many group members may not approve of hazing but go along with the activity because they mistakenly believe everyone else agrees with it. This "reign of error" helps to perpetuate hazing. The strongest supporters of hazing are often the most vocal and dominant members. Reality: In states that have laws against hazing, consent of the victim can't be used as a defense. This is because even if someone agrees to participate in a potentially hazardous action, it may not be true consent because of peer pressure, intentional or unintentional threats, and the withholding of information about what will occur. Reality: "Tradition" does not justify subjecting new members to abuse. Traditions are created by groups, and groups hold the power to change or eliminate them. It only takes one year to break a hazing tradition. Remember that the founding members of organizations were not hazed. Reality: Since hazing practices are secret, group members often don't realize that their "unique" practices are typically variations on common themes: extensive memorization with verbal abuse for incorrect answers, sleep deprivation, servitude, kidnappings, drinking rituals, calisthenics, lineups, cleaning up messes, isolation of members, theft, impossible games, sexual embarrassment, inappropriate clothing, absurd scavenger hunts, unpalatable food, and physical violence.